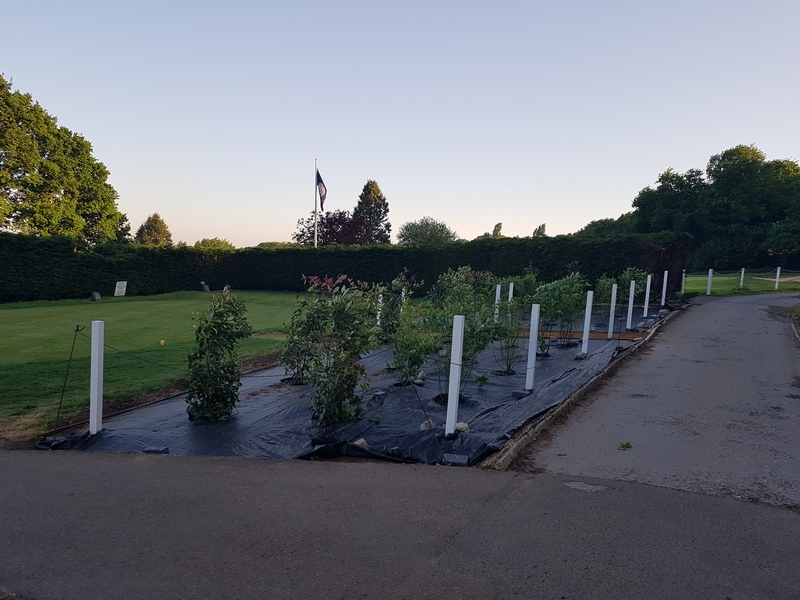 With the course taking priority we managed to plant the shrubs this week which only leaves the stone’s covering the weed sheet and chains around the post to finish. 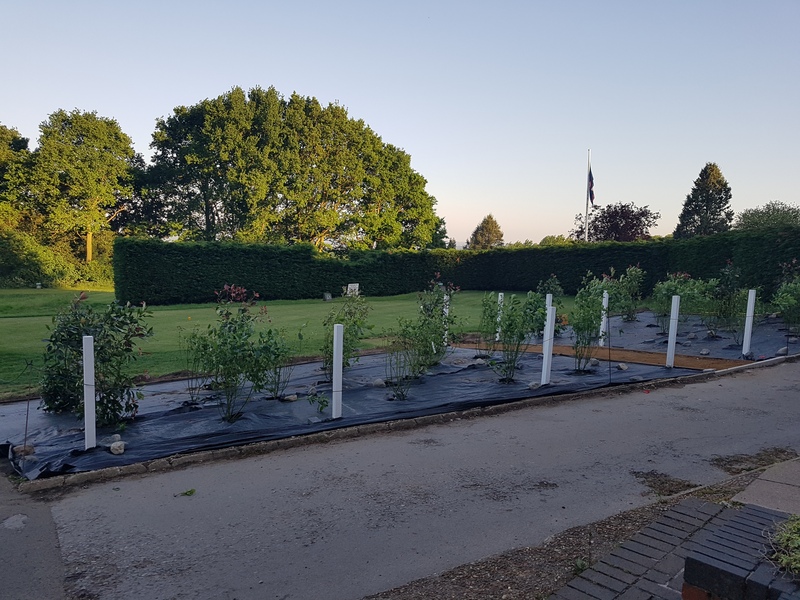 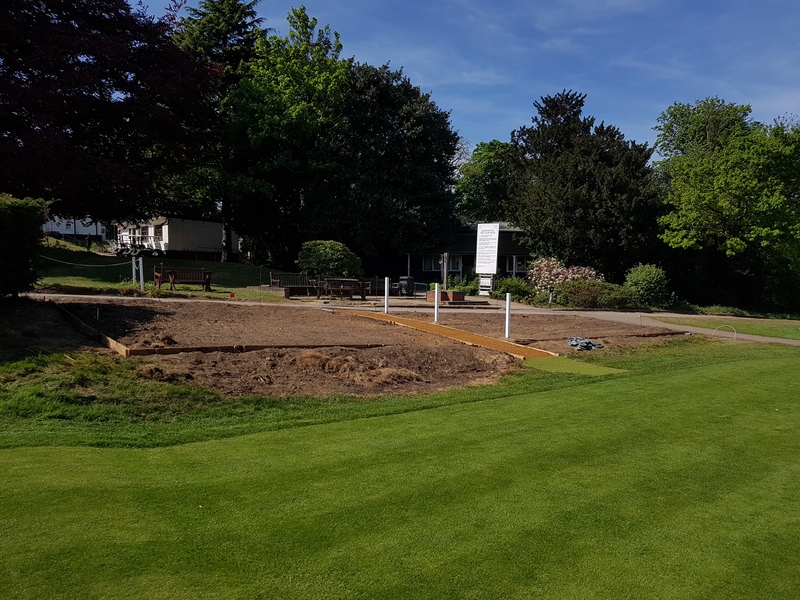 The new 1st Tee garden posts are being installed this week and slowly taking shape around the weekly routine maintenance/presentation work which takes priority. 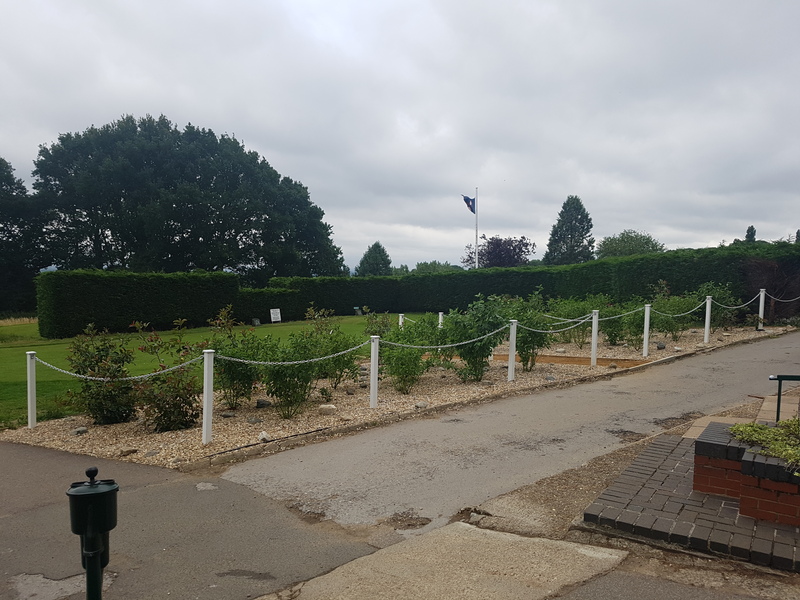 Look out for more photo updates this week. 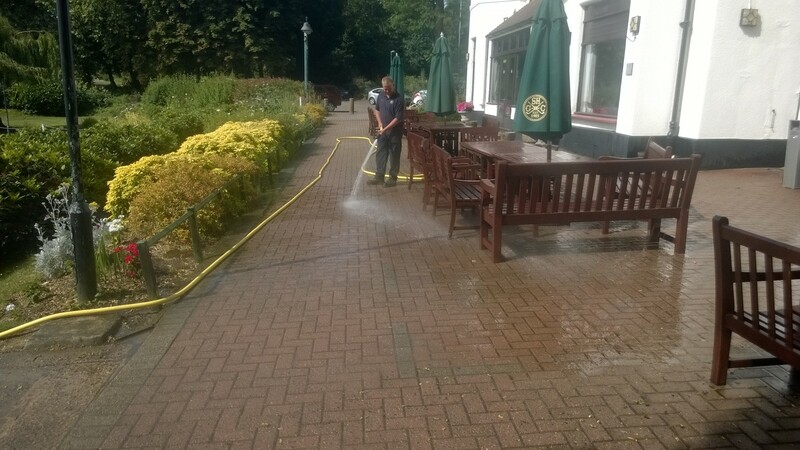 Patio received a thorough wash down today. 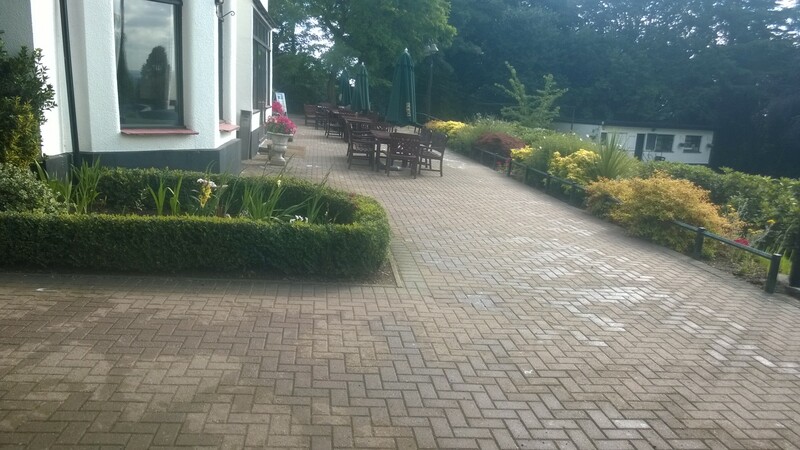 rhododendrons and plants along the patio have been trimmed and shaped so not to block the view from the patio.